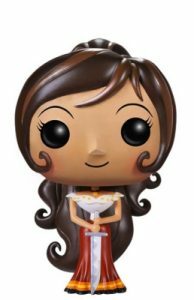 Hey, girl...Funko Pop Book of Life features many of the colorful characters from the adventure-comedy film. Sorry, girl, Joaquin is not included, at least not yet. 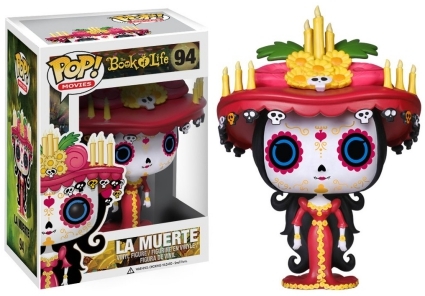 A 2014 animated movie, The Book of Life's story unfolds on the Mexican holiday Día de Muertos (Day of the Day) that is renowned for the brightly colored masks and costumes which are perfectly reflected in the Funko Pop Book of Life figures. 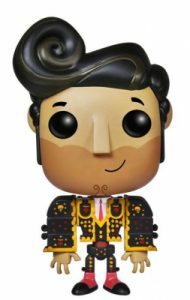 The skilled bullfighter Manolo dons a traditional black Traje de Luces costume with his jacket adorned in yellow skulls and red hearts. The love of his life, Maria, stands with her hair visible behind her body while holding a sword with both hands. 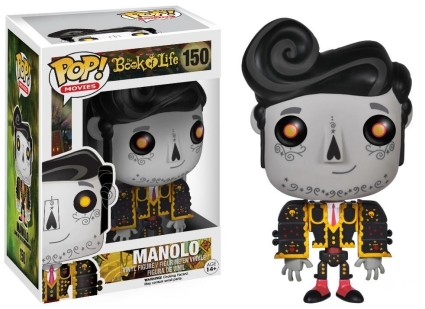 Shop for Funko Book of Life Figures on Amazon. 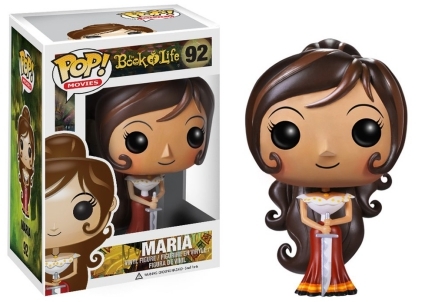 Not to be overlooked, the immortal couple is also included in the Pop! Movies set. 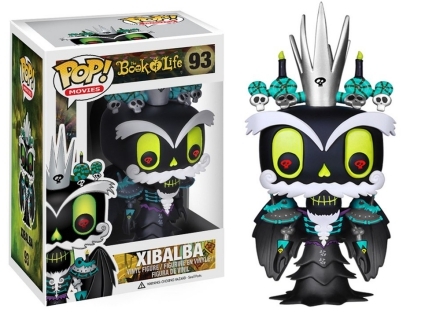 While it is unlikely he would be mistaken for anyone else, blood-red skull pupils set Xibalba apart. The ruler of the Land of the Forgotten wears a vibrant black cloak trimmed in teal with angel wings behind his silver arms. Furthering the Day of the Dead theme, his wife, La Muerte, resembles the artistic white skull masks worn during the celebration. 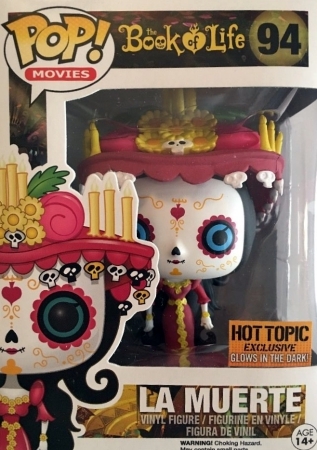 Both the main option and the La Muerte glow-in-the-dark variant, issued through Hot Topic, displays an oversized sombrero with lit candles and marigold flowers. 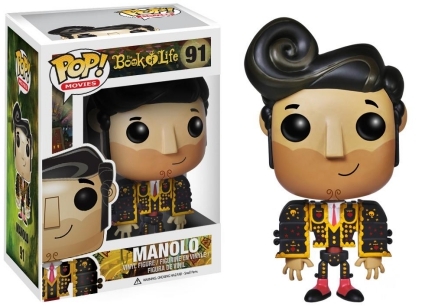 Additionally, Funko Pop Book of Life offers a Manolo "remembered" option, which would traditionally be considered black-and-white, except the bullfighter's attire is still colored, just not as brightly as the main figure.